This winter we made different surveys on wintering birds of prey. In particular we carried out a research in Armenia together with Siranush Tumanyan from the Acopian Center for the Environment of the American University of Armenia (please click on the link to visit the website). We made some hundreds km of car transects, moreover we monitored wetlands, dumps and chicken factories of western Armenia. During the survey we observed 10 species of raptors and remarkable concentrations of Black Kites. 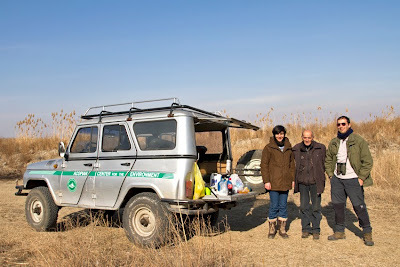 On the pictures below: Black Kites, a Long-legged Buzzard and the researchers team. 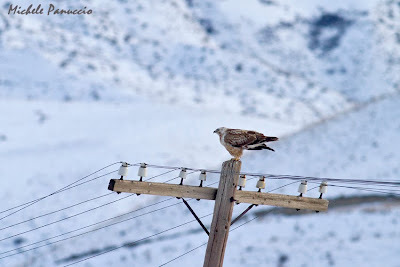 Steppe Buzzard in Abruzzo (Central Italy)? A Steppe Buzzard (Buteo buteo vulpinus) may have been observed in Abruzzo near the town of Atri (TE) not far from the Adriatic coast by Davide Ferretti e Marco Cirillo. This subspecies is uncommon but regular during migration periods in Italy. Here following a couple of nice pictures of that bird made by Davide Ferretti some days ago. Last week Michele Panuccio discussed his Ph.D. dissertation made within MEDRAPTORS research projects at the University of Pavia. 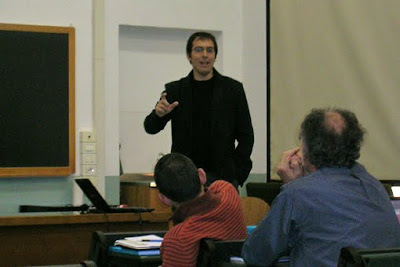 His thesis analyzed factors influencing the migratory behaviour of raptors in the Mediterranean area. Among them: morphology, geography, flocking behaviour, orientation, information transmission, weather conditions. 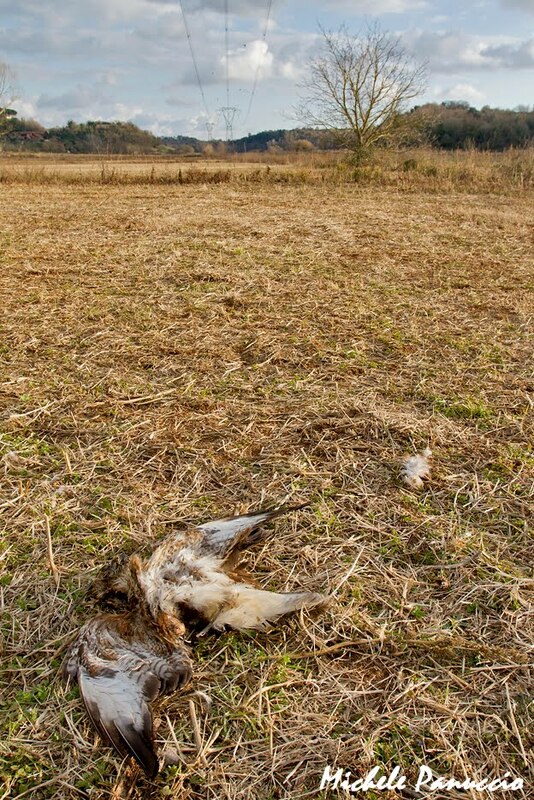 In particular was investigated the migration of four species: the Short-toed Snake Eagle, the European Honey Buzzard, the Western Marsh Harrier and the Black Kite. Used methods were: visual observations in Italy and Greece, ring recovey analysis, modeling. 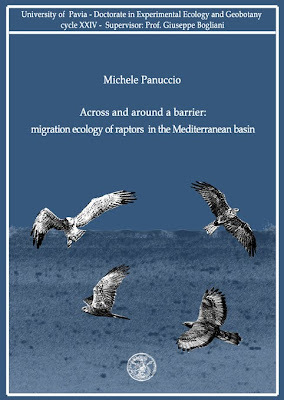 Michele Panuccio - Across and around a barrier: migration ecology of raptors in the Mediterranean basin. University of Pavia, a.a. 2010/2011. 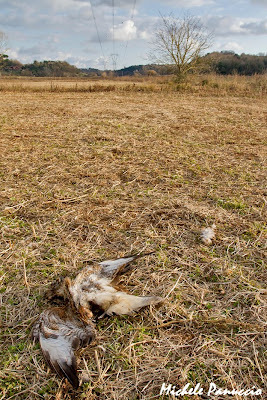 Few days ago a dead individual of Common Buzzard was found by rangers in the Natural Reserve of Decima Malafede (Rome). This raptor was found under a power line and probably was killed by the collision with this transmission line. 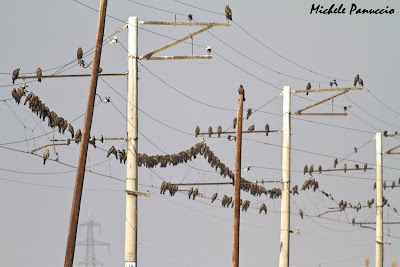 Further investigations are needed to know how many birds collide with power lines in Italy in order to limit this detrimental situation for raptors.